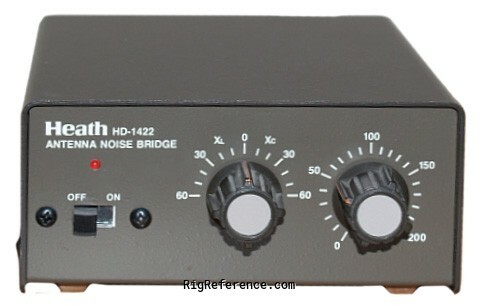 The Heathkit HD-1422 is an antenna noise bridge. It is used to determine how well an antenna is matched to a transmitter. The instrument works by generating a tone-modulated broadband noise signal and coupling it to an impedance bridge. Using a receiver as an indicator, the impedance bridge measures the resistive and reactive components of the antenna. Estimating the value of a rig can be challenging. We collect prices paid by real hams over the years to help you estimate the current value of the Heathkit HD-1422. Just bought or sold this model? Let us know what you traded it for and help other ham operators!